March 31, 2015 What’s with these cookie things? Here’s a list of all the cookies we set, and why we set them. If you have problems logging in, it may help to delete all cookies associated with this website. Make sure you have your username and password handy – you were emailed this when you first joined. In Chrome, select the Hamburger menu, Settings, search for “cookie”, select “Content Settings” button, then “All cookies and site data” button. Search for abbywinters.com. Some of our subdomains might also show up, if you have visited them, but click on the main abbywinters.com one. Click the X on the right to remove all cookies associated with abbywinters.com. You will need to log in again. A window will open with a lot of filenames in it. Click on ‘Name’ to list them alphabetically. Right-click on each and choose delete. Cookies must to be enabled to browse this site as a member. Cookies are enabled on your web browser by default, but you may have turned them off by mistake, or deliberately. If you did it by mistake, here’s info on how re-enable them. If you did it deliberately, you will need to enable cookies specifically for this site (see below). 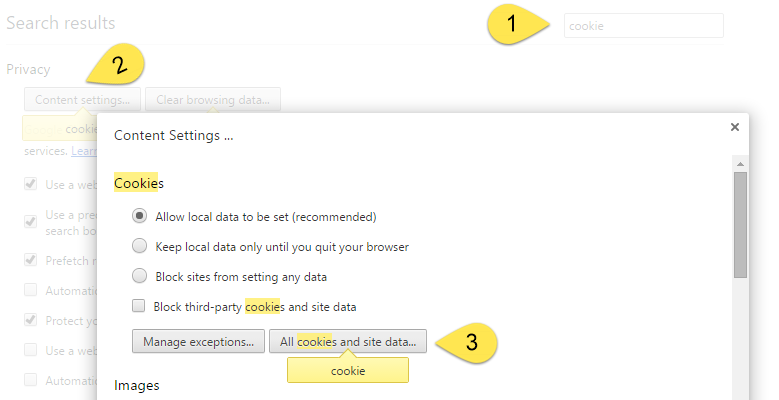 Remove the check-mark from “Block all third-party cookies and site data”. You may also need to adjust your software firewall (for example, Norton Firewall, or Zone Alarm) or ad blocking software. You need to explicitly allow “abbywinters.com” (exactly that, without the quotes). As there are so many different types of these, we cannot provide specific instructions, but you’re looking for something like “exceptions” or “allow”.